We are pleased to advise that we are now stocking newly sourced Agate Burnishers, with both flat and dog-tooth tips. 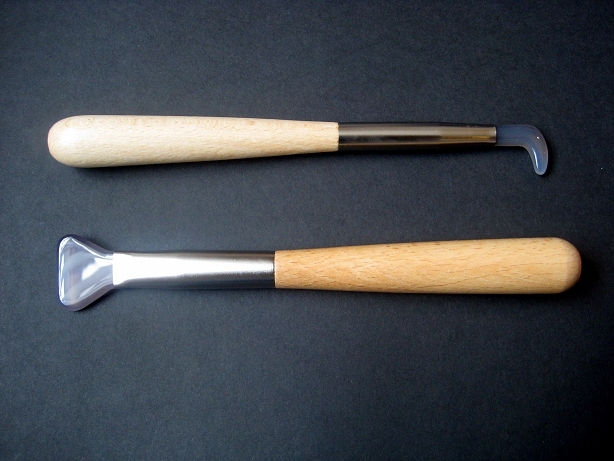 These hand crafted tools are manufactured to a very high standard. They have beech handles, with an overall length of 22cm (8.75"). The new style agate burnishers can be viewed and purchased at the new lower prices here.